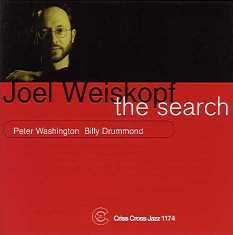 The Search, pianist Joel Weiskopf's, debut recording as a leader, is a trio date showcasing a soulful, worldclass improviser, wielding prodigious technique with soulful touch and a storyteller's flair through a program of three originals, three songbook gems and three less visited jazz standards. 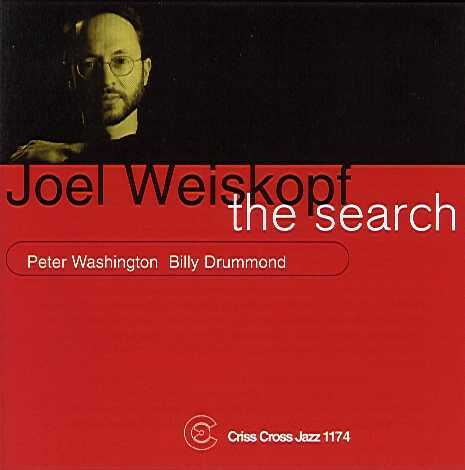 Joel Weiskopf is accompanied by the Criss Cross rhythm section, bassist Peter Washington and drummer Billy Drummond. Joel recorded for Criss Cross as a sideman with his brother Walt Weiskopf and also with the Swana-Magnarelli sextet and the Andy Fusco Quintet.